RM Salvage are proud to bring you these unique metal artwork pieces that are unusual and a perfect focal piece in anyones home or place of work. Dare to be different and find a piece of functional artwork that will get everyone talking and wanting one too! Alien Sculpture.2 Fascinating metal artwork sculpture of the iconic Alien creature that has fascinated people for years. Made from pieces of junk metal, car parts and motorcycle parts, this is a fantastic opportunity to own a unique metal art sculpture. 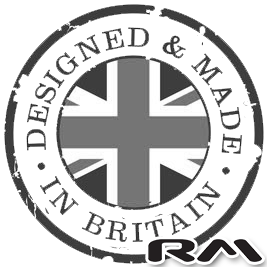 Hand crafted in the UK by a true metal craftsman. RM Salvage source you the best in unique and unusual metal artwork pieces that are very much sought after. We work closely with the designers and are proud to bring you this hand made collection of beautiful items. All items are hand made and unique, allowing the creativity from the artist to truly shine through. Finish: Unfinished natural state, as in photo. These metal art sculptures are hand built and made to order. This item is in stock and available today for collection from our Birmingham premises. RM Salvage is delighted to bring you unique metal artwork pieces that are functional, beautiful and really different. These unique metal artwork pieces are sourced from craftsmen / artists who are passionate about their craft and are based in the UK.